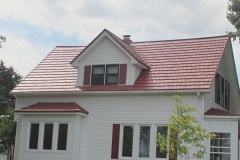 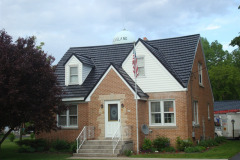 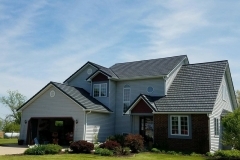 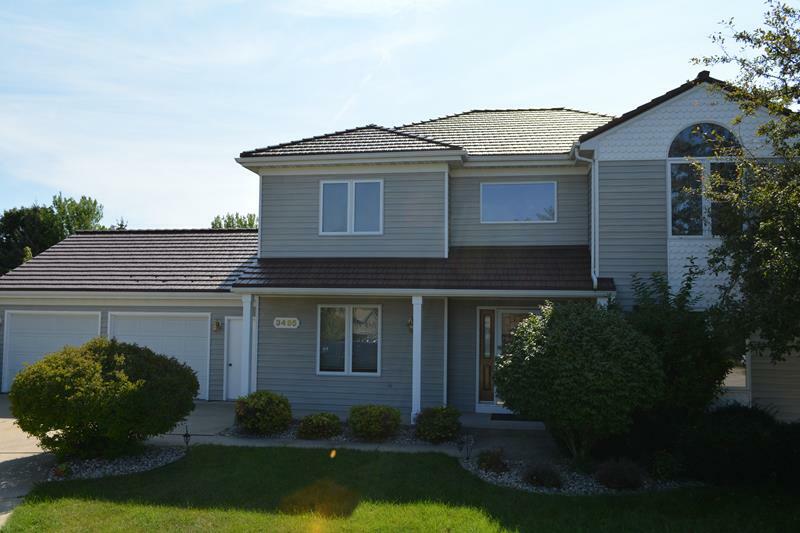 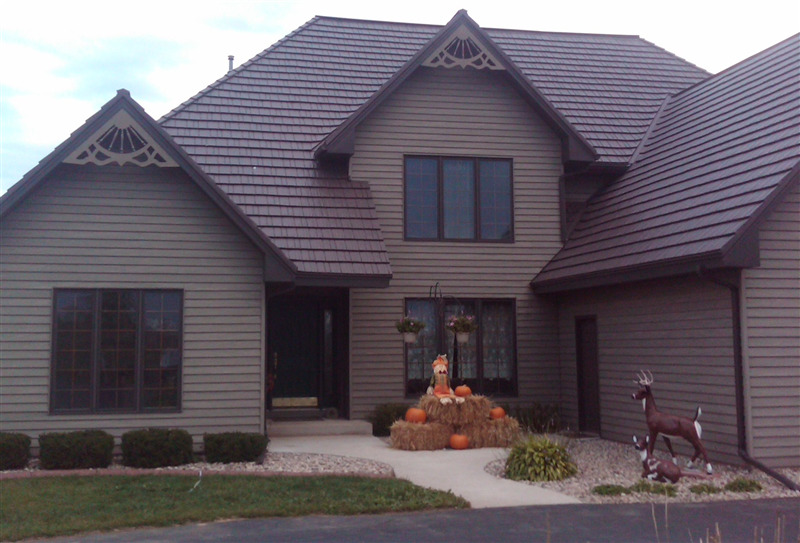 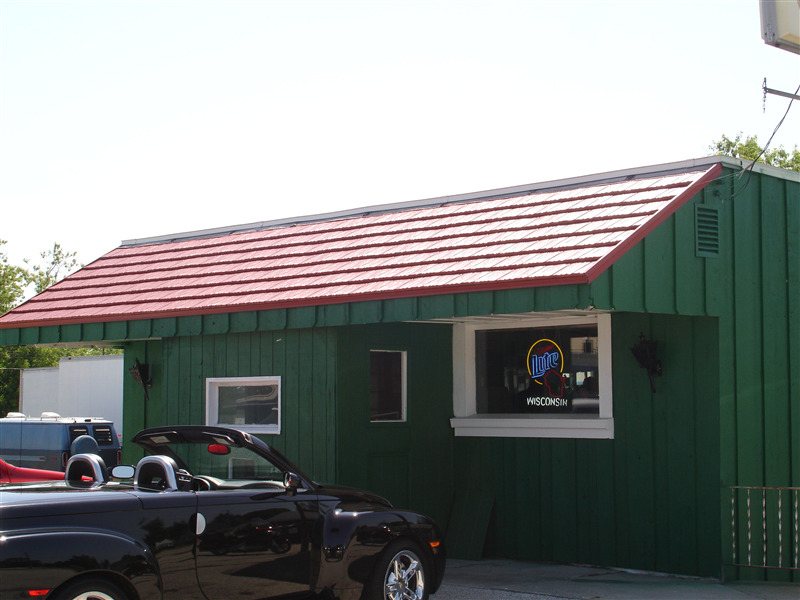 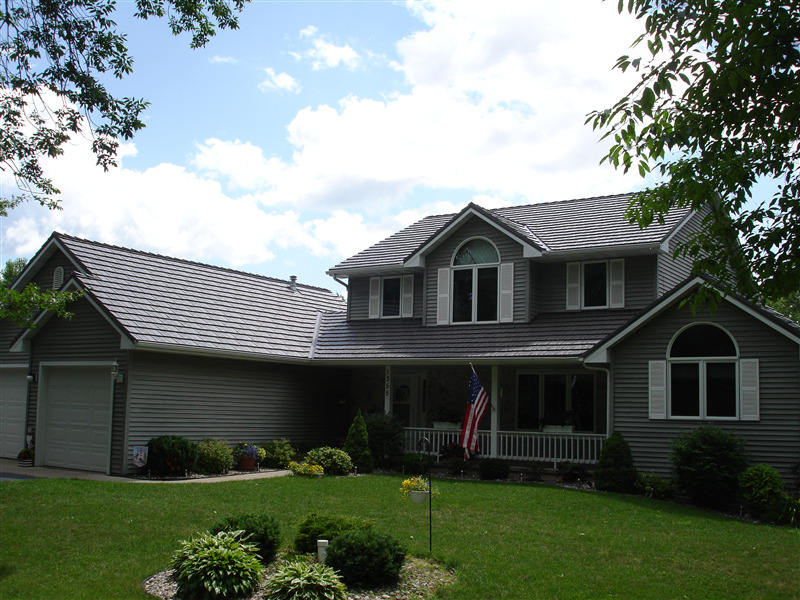 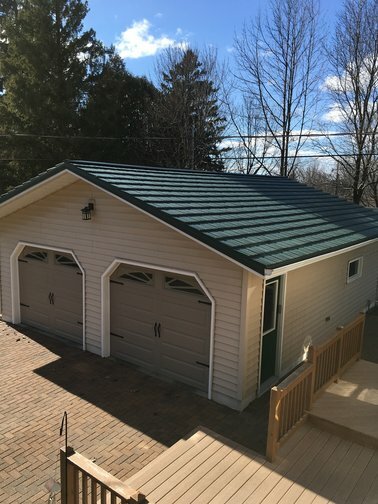 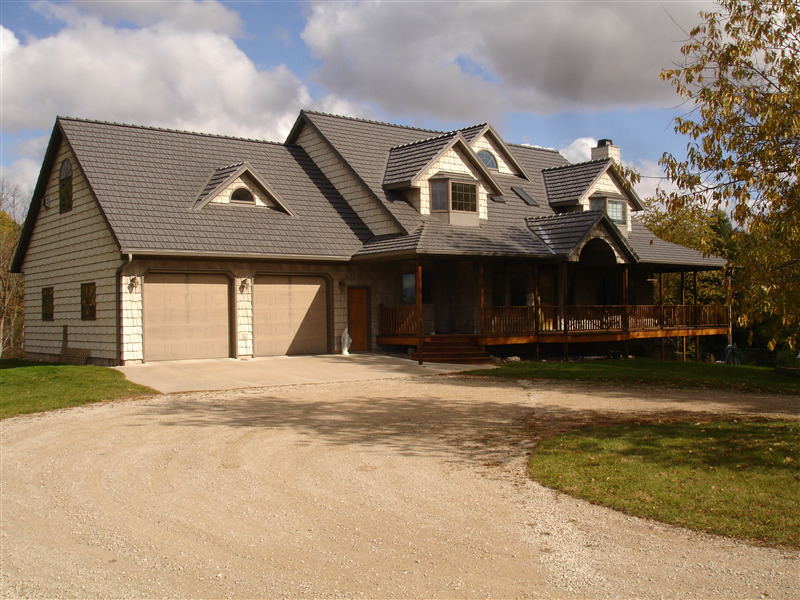 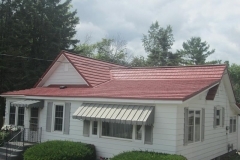 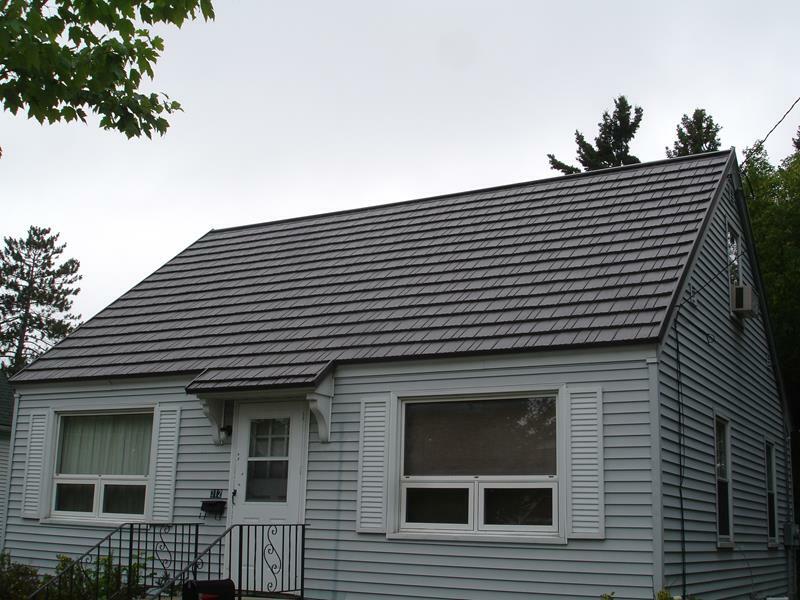 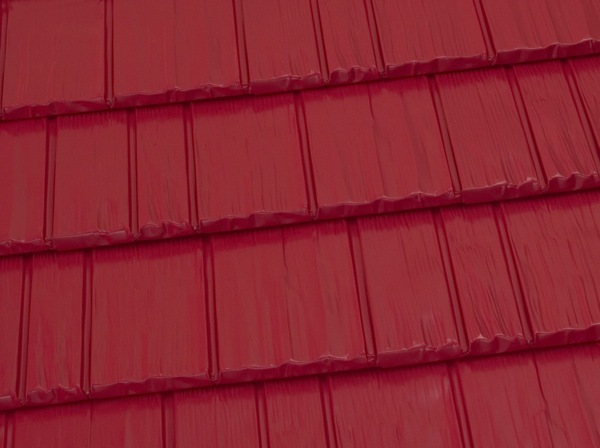 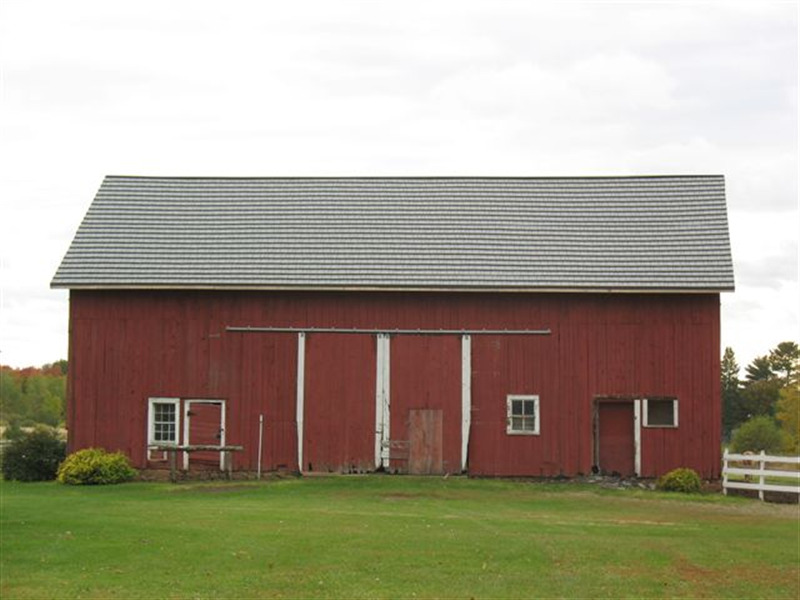 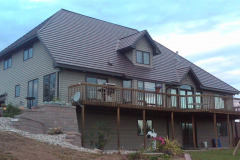 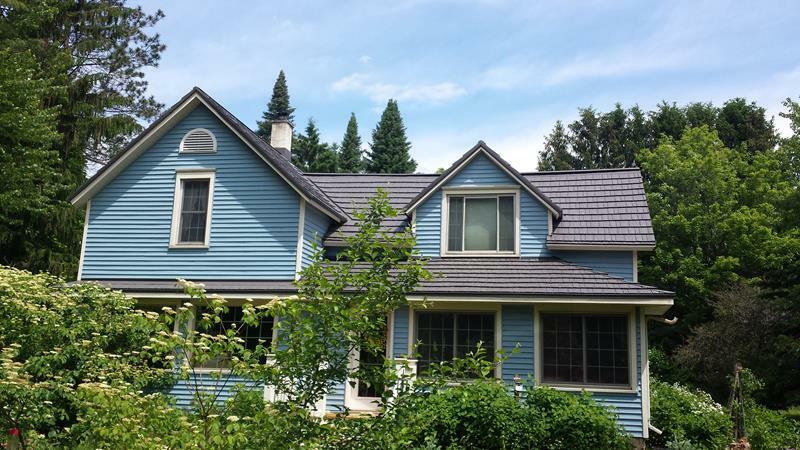 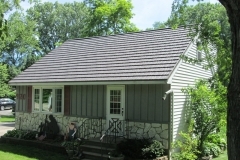 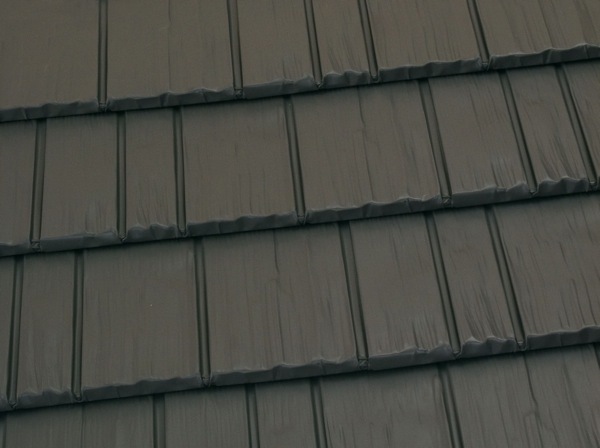 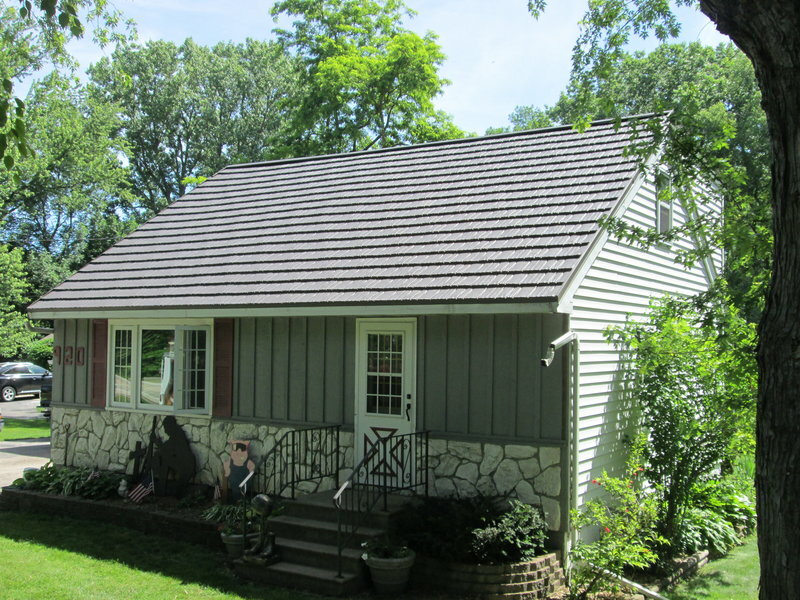 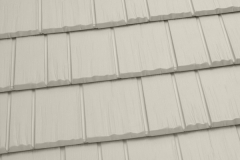 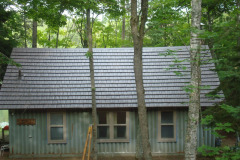 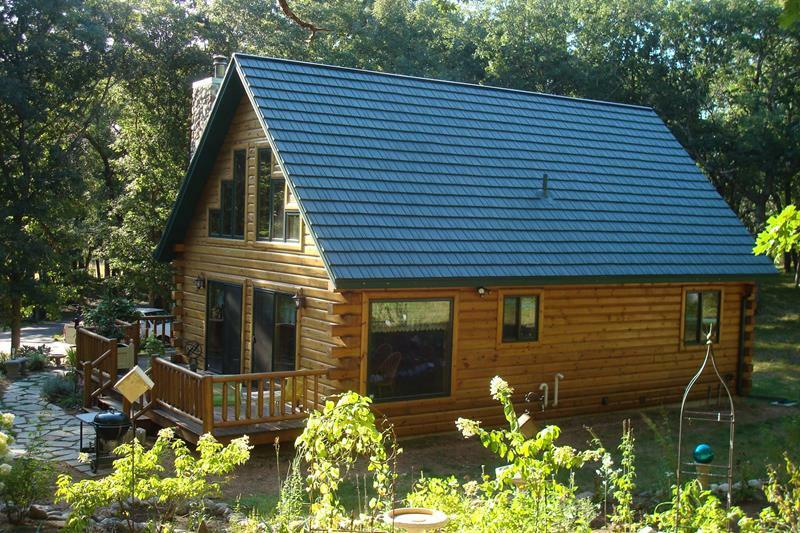 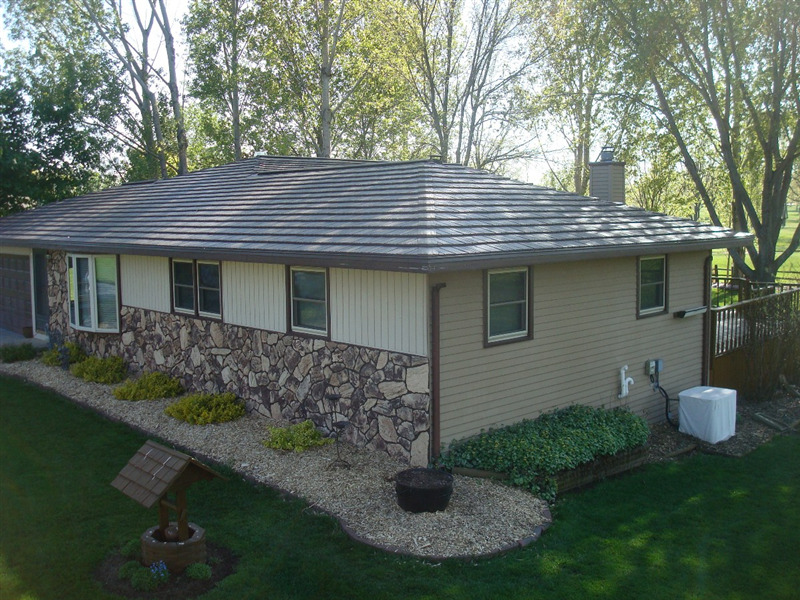 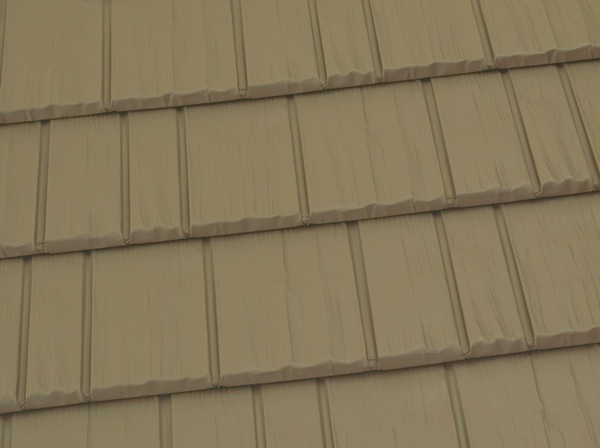 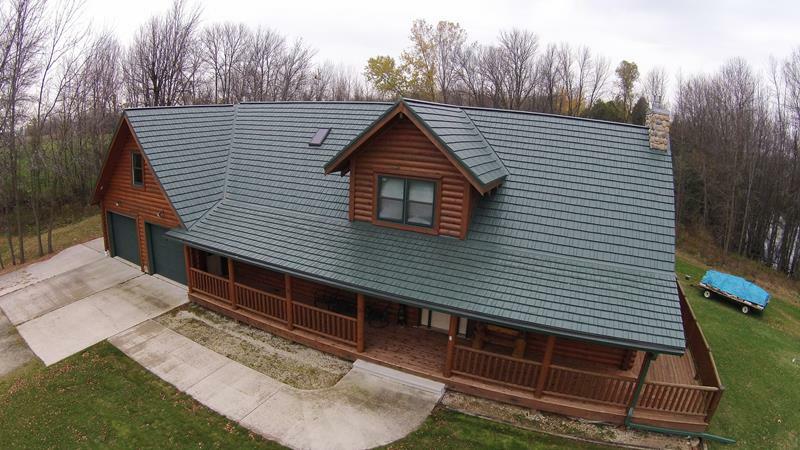 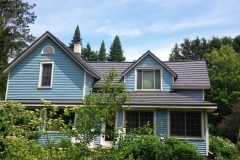 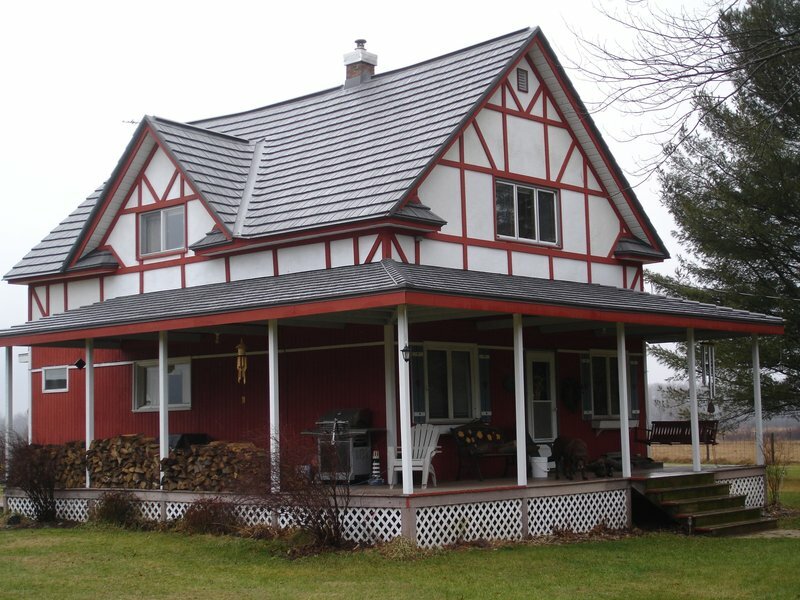 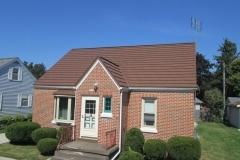 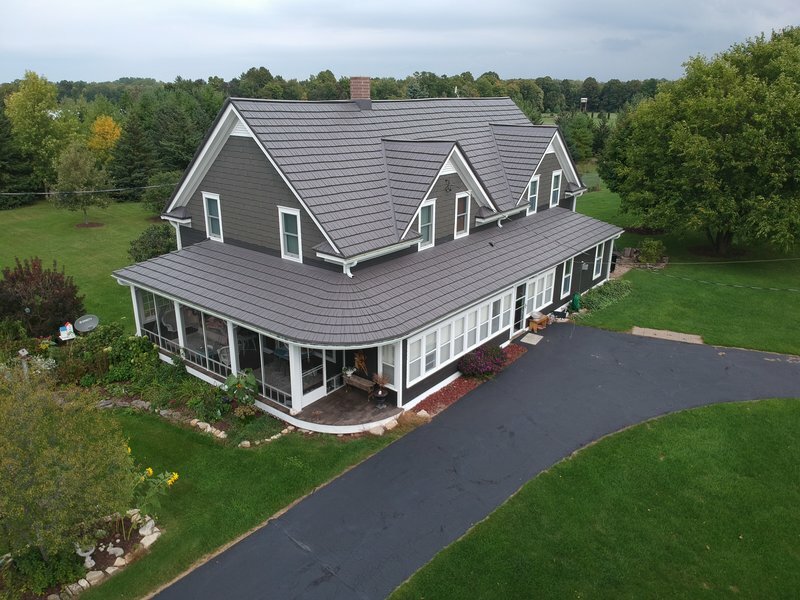 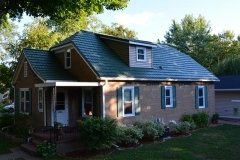 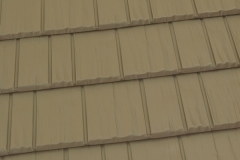 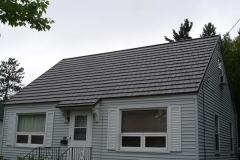 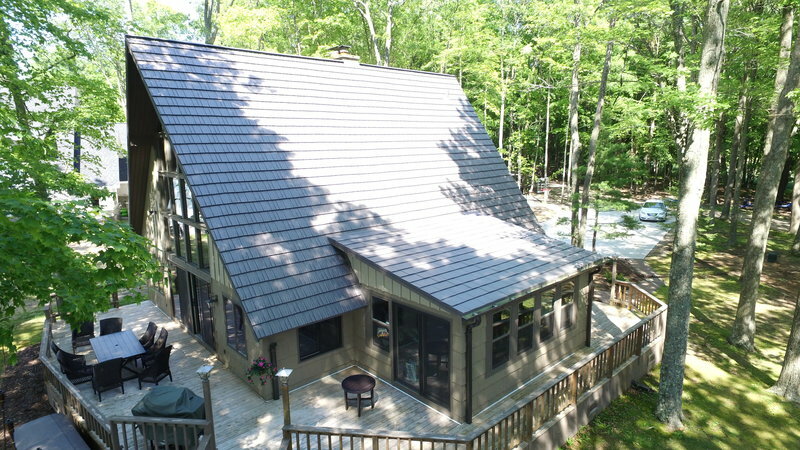 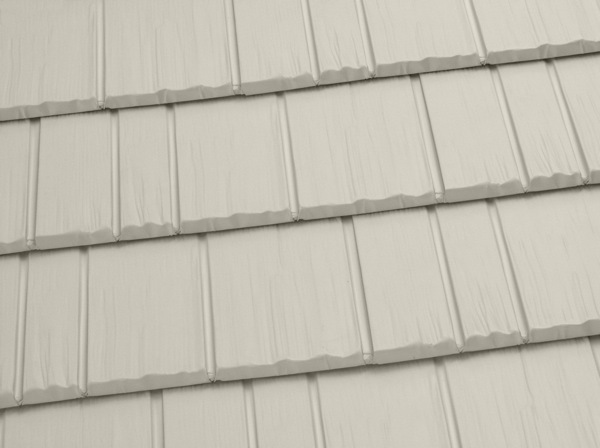 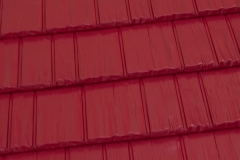 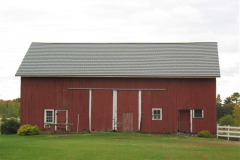 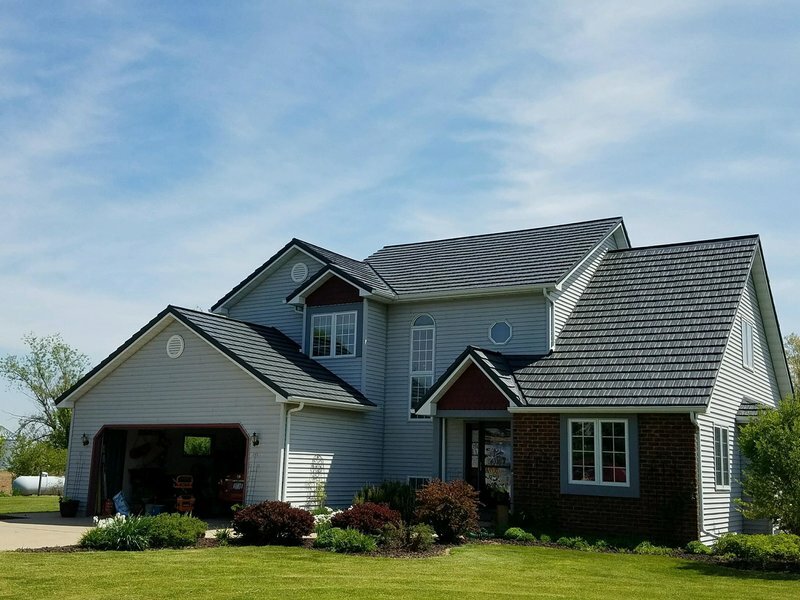 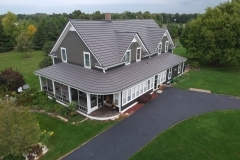 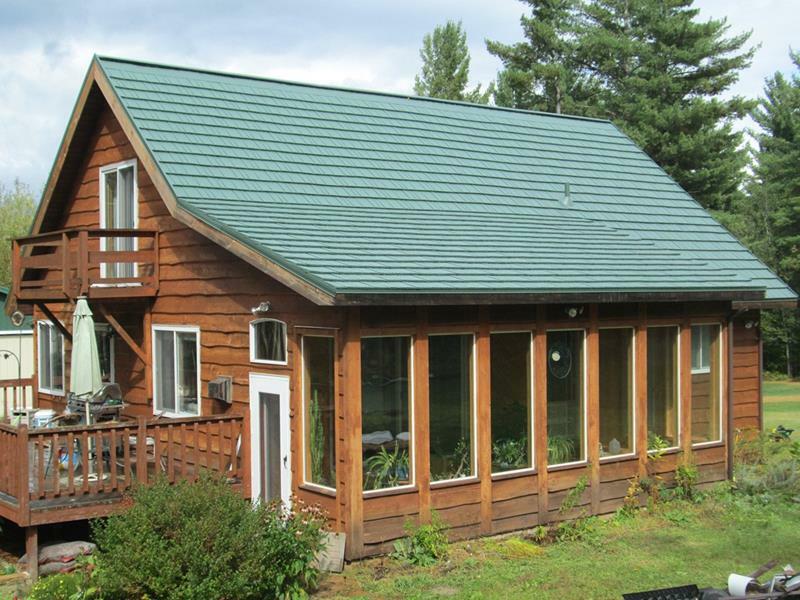 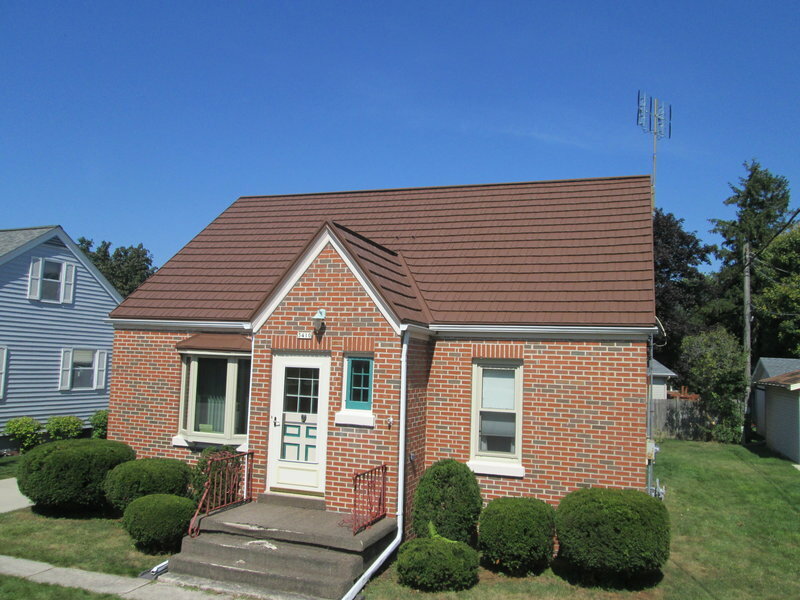 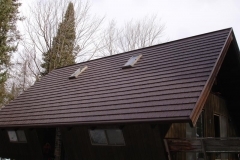 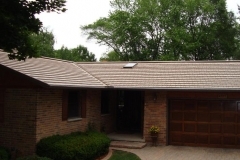 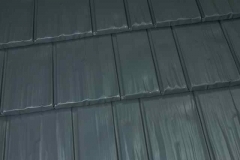 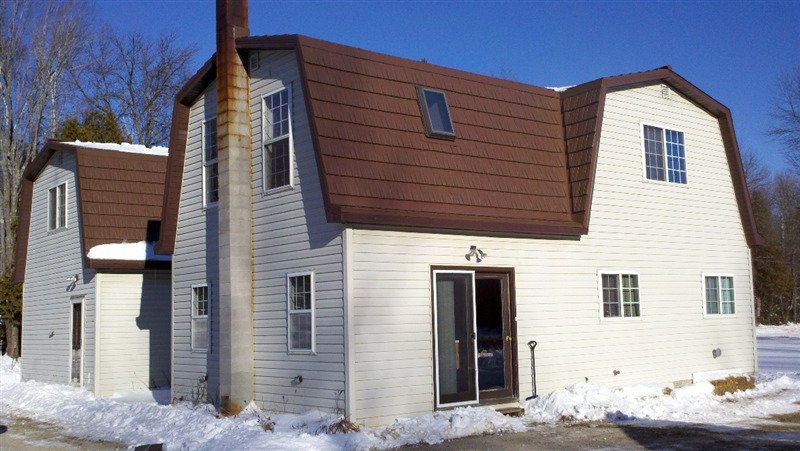 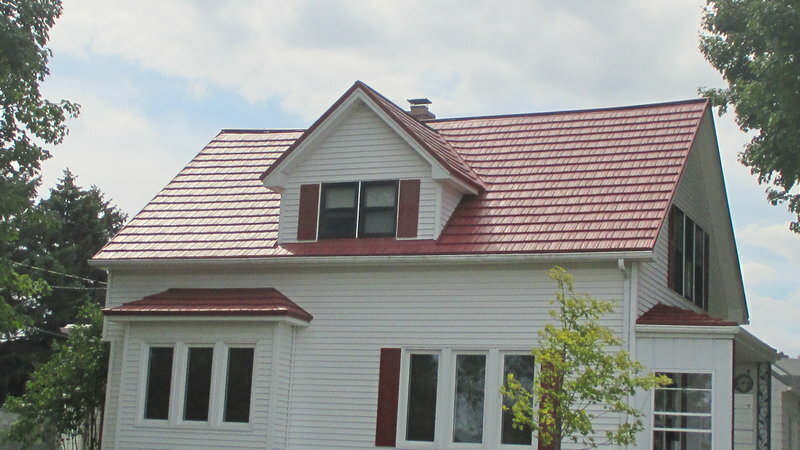 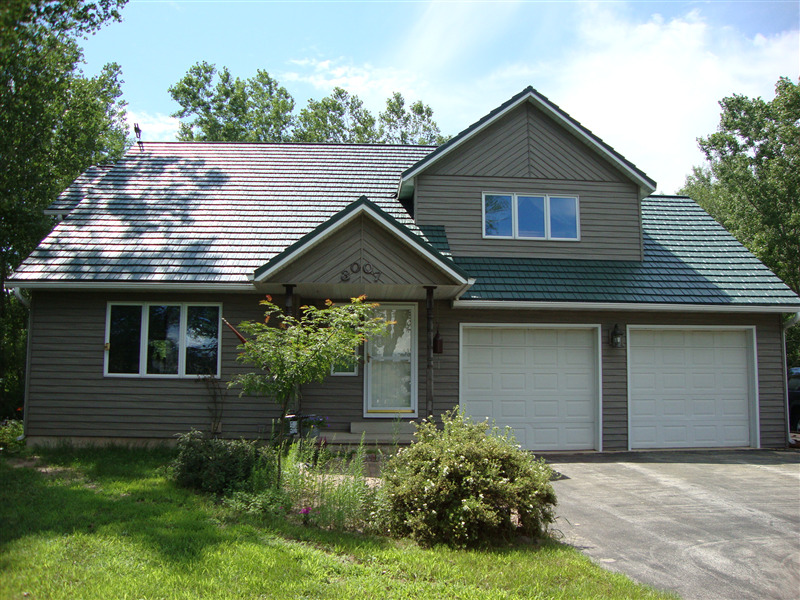 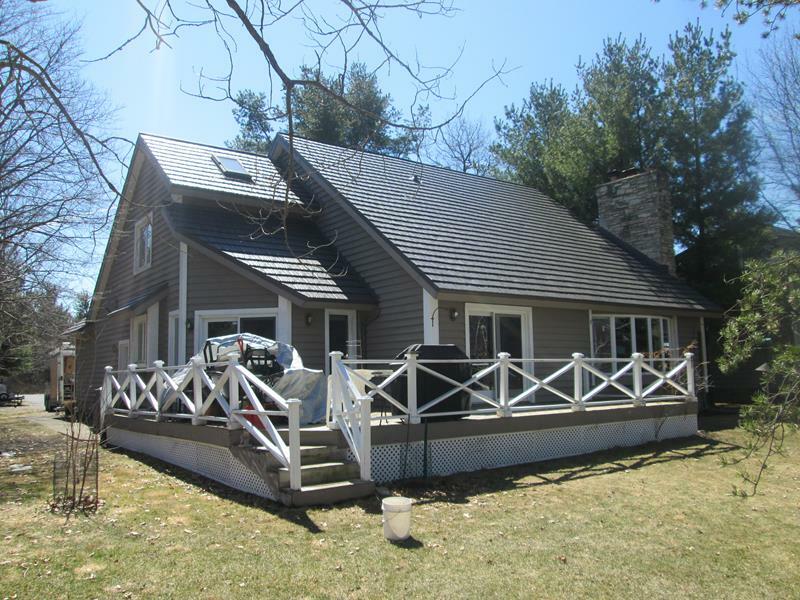 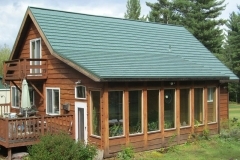 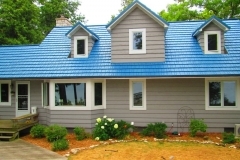 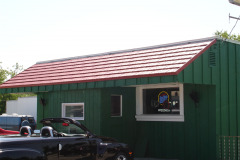 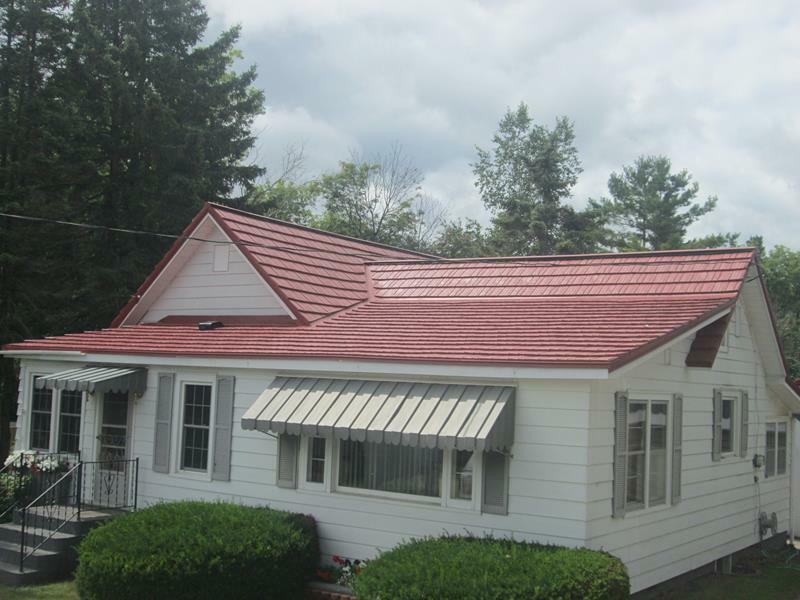 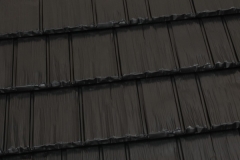 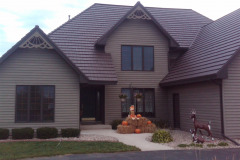 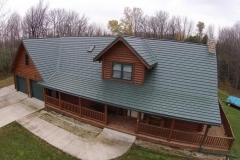 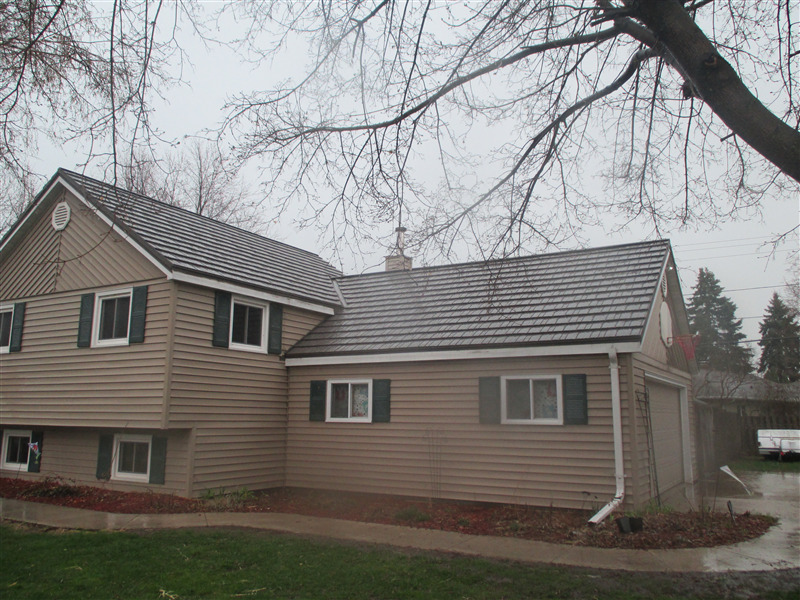 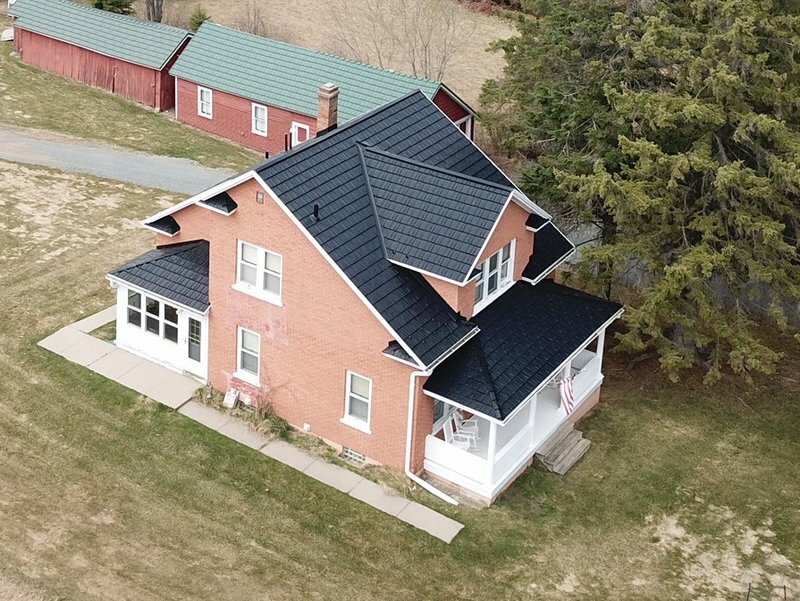 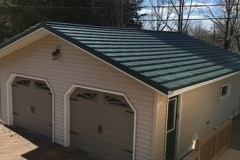 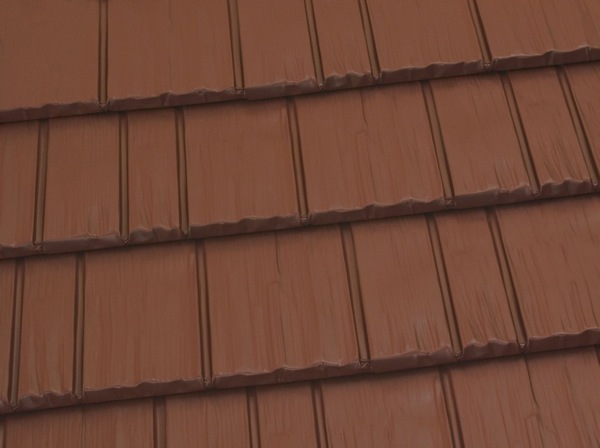 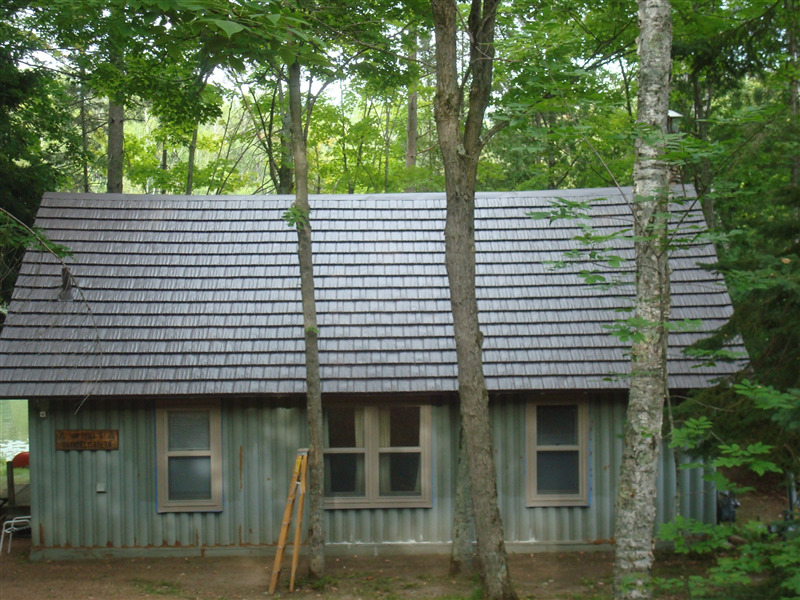 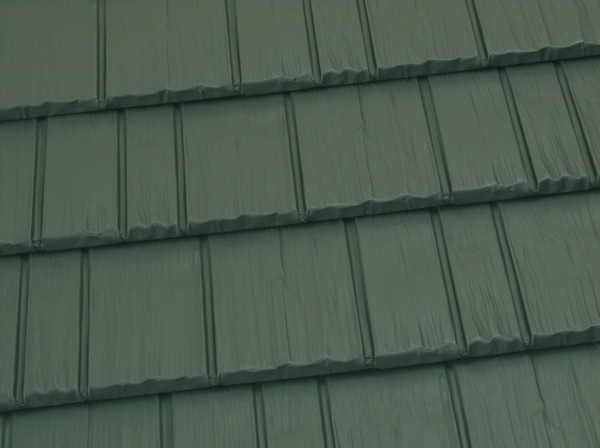 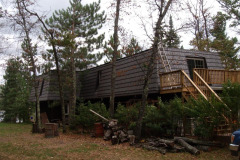 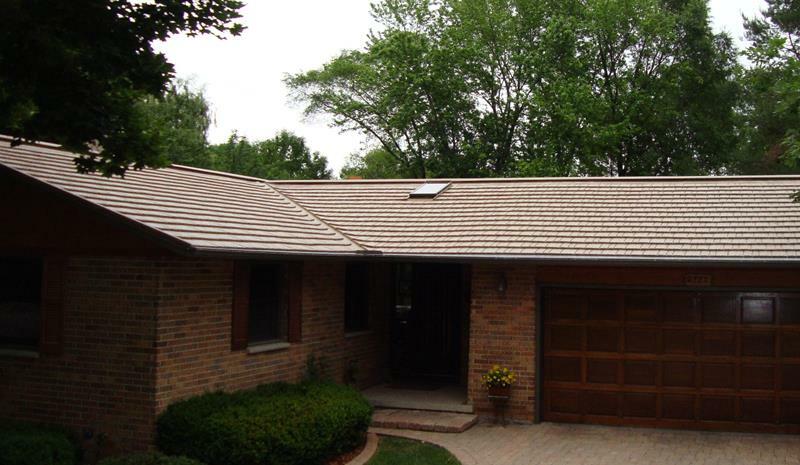 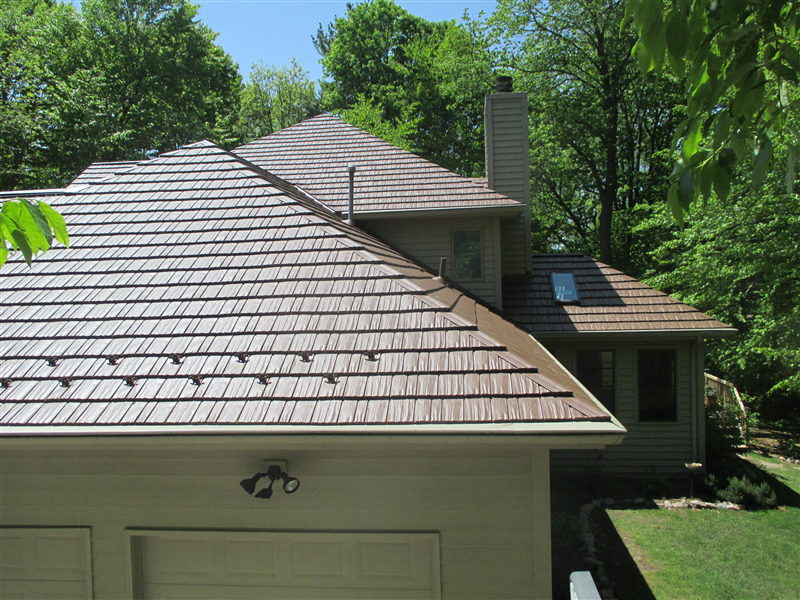 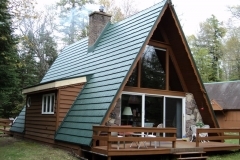 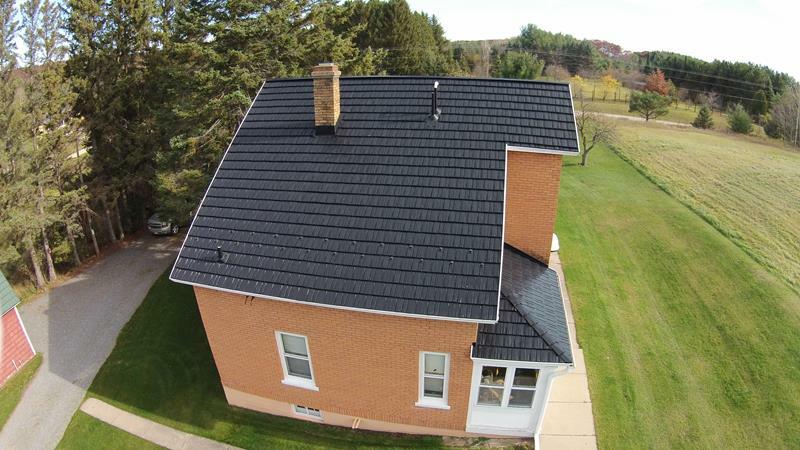 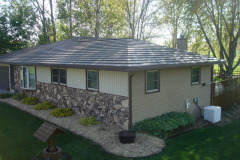 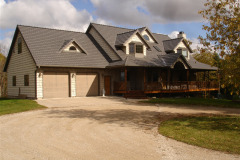 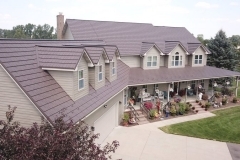 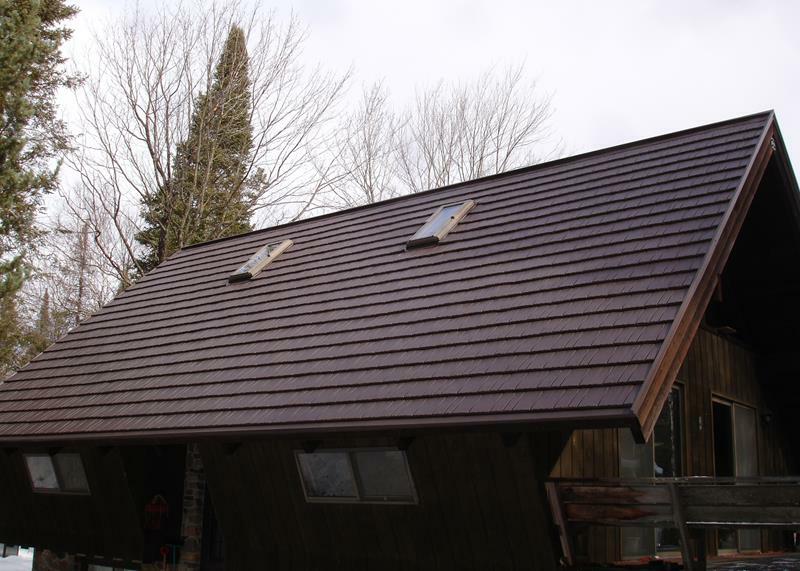 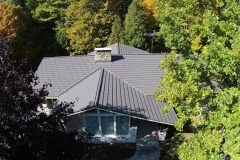 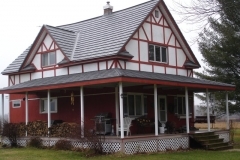 If you’re looking for rustic metal roofing in northern Wisconsin and the UP, our Rustic Shingles are a great option. 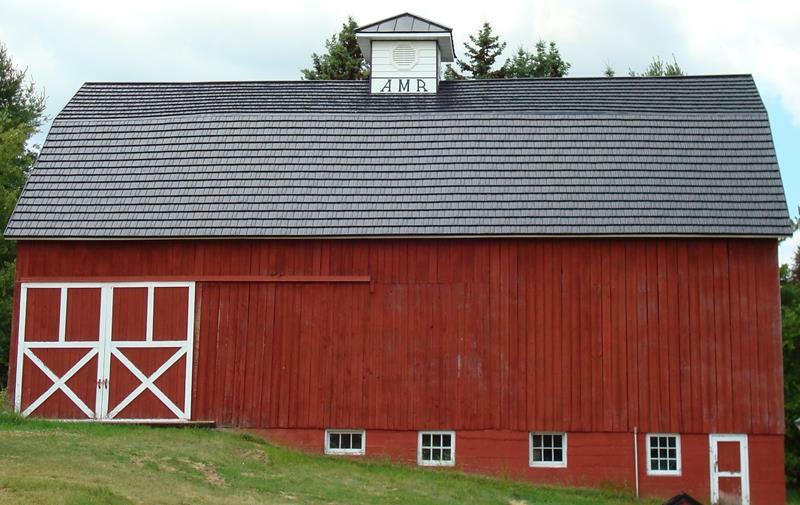 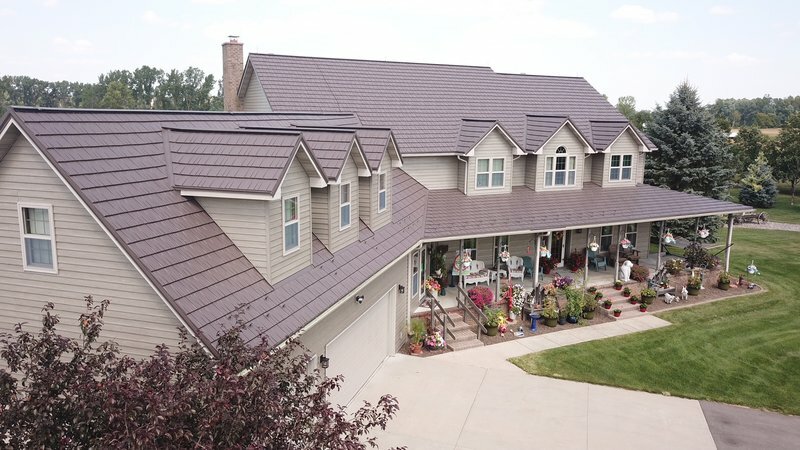 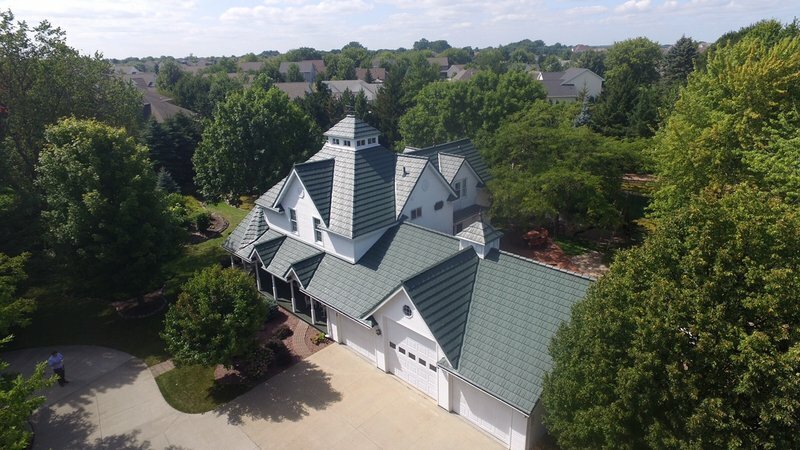 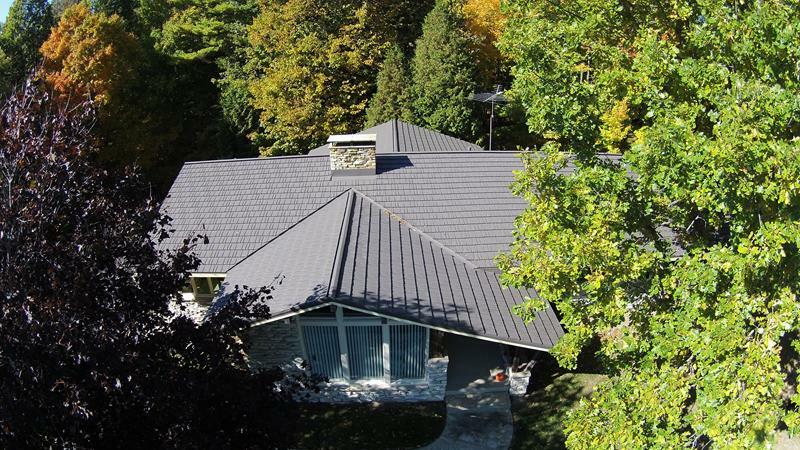 Rustic Shingle is an investment-grade metal roofing system that provides beauty, protection and increased value for your home. 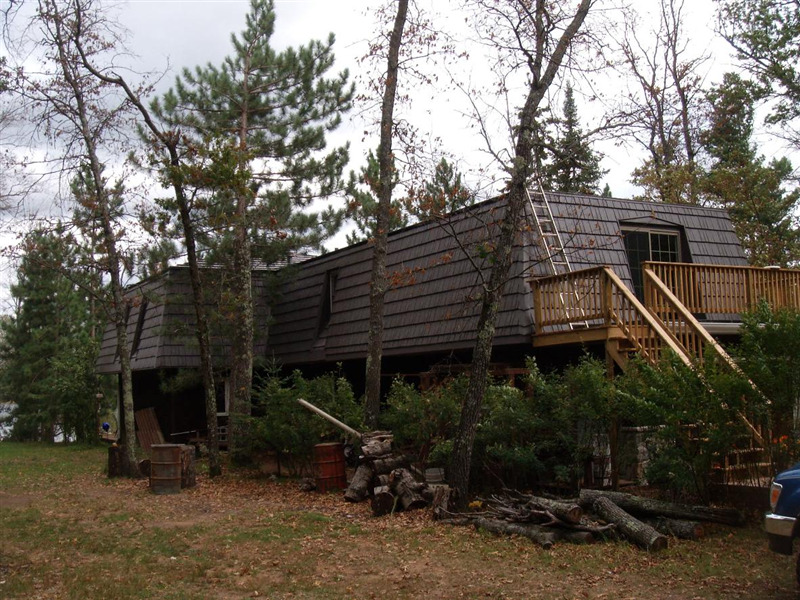 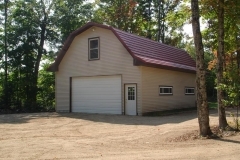 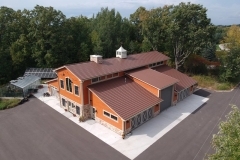 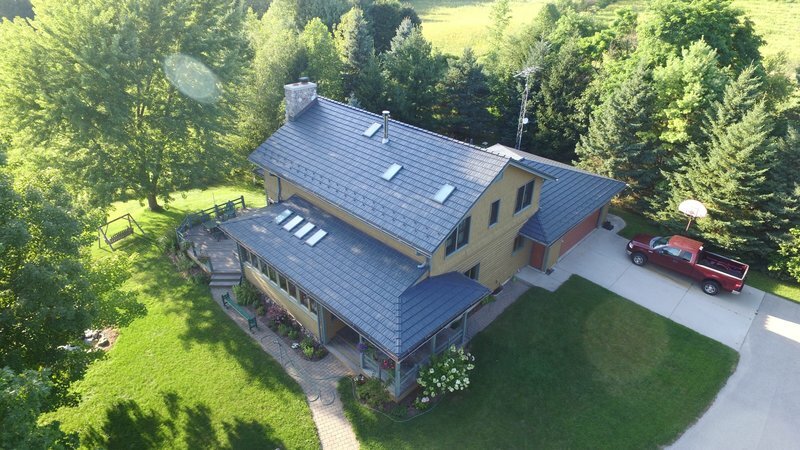 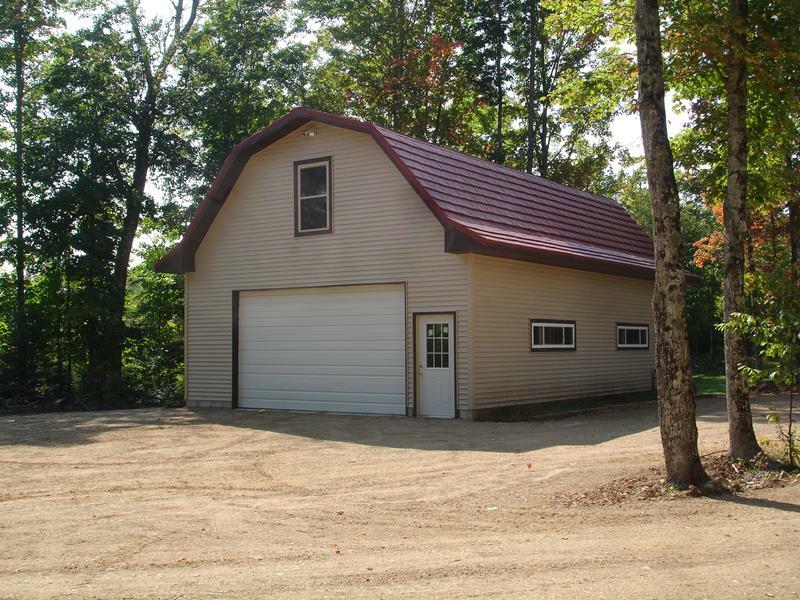 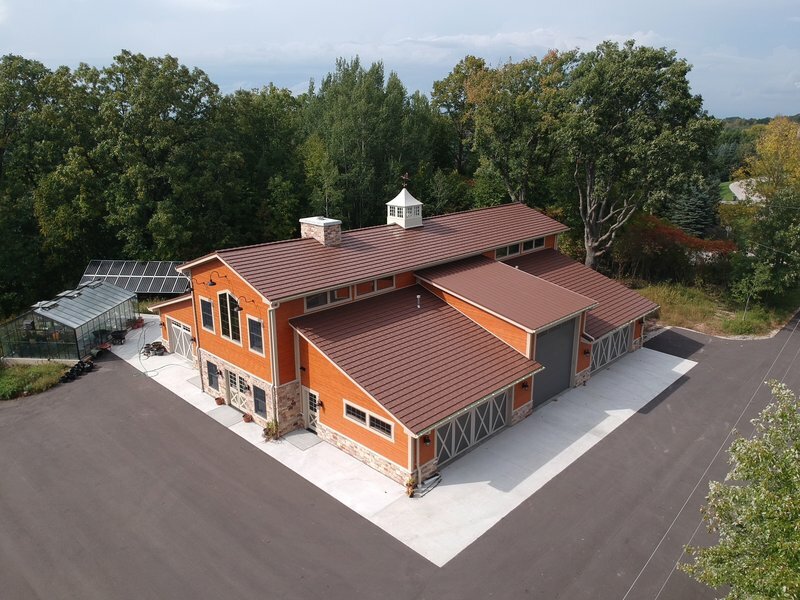 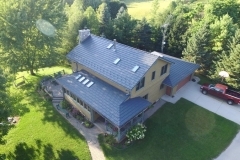 This rustic metal roofing in northern WI is a very practical option for the climate of the region. 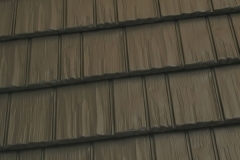 If you look closely at Rustic Shingle, you will see a rugged texture and deep realistic wood grain that replicates wood shake shingles. 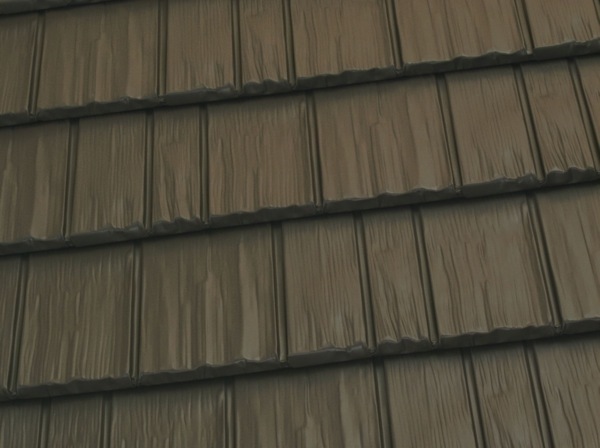 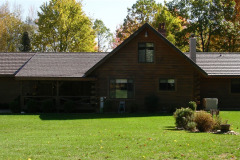 However, unlike real wood, Rustic Shingle will never split, warp, mold, or rot. 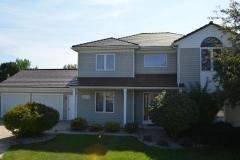 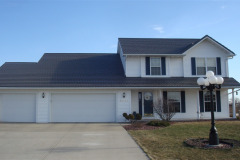 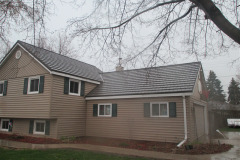 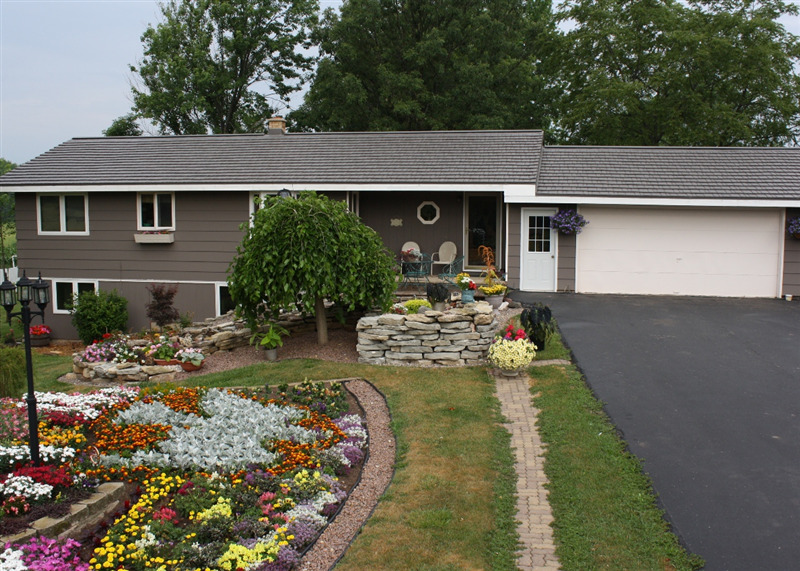 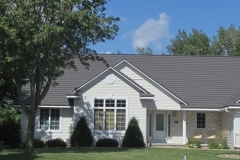 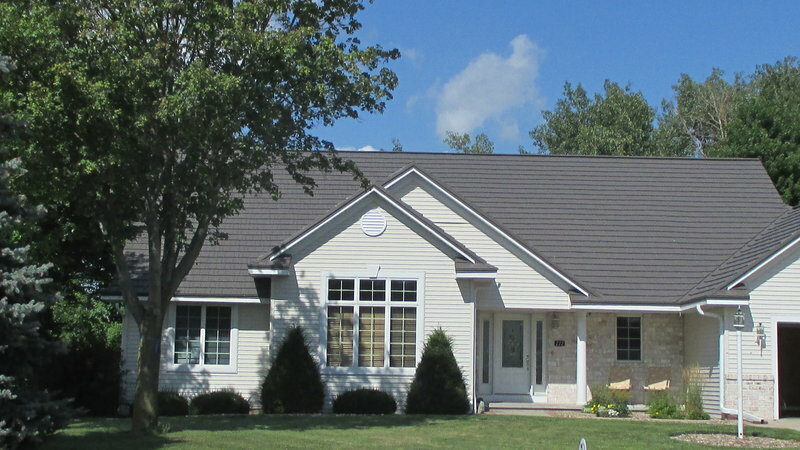 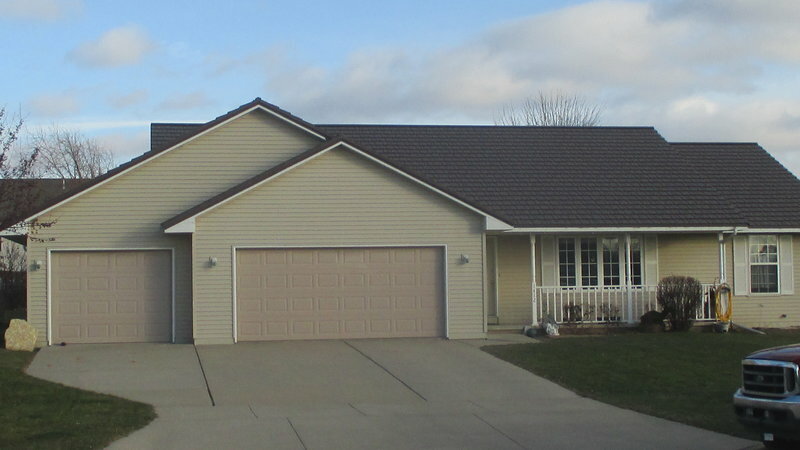 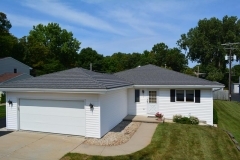 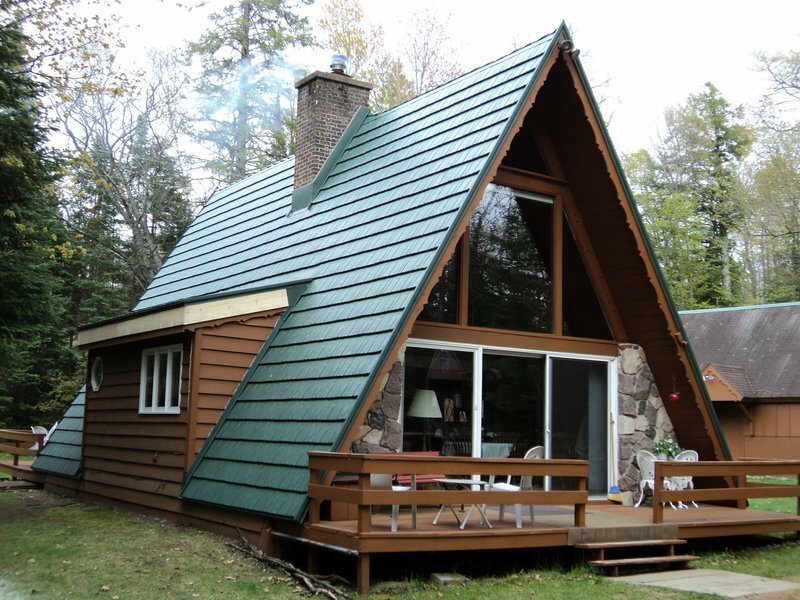 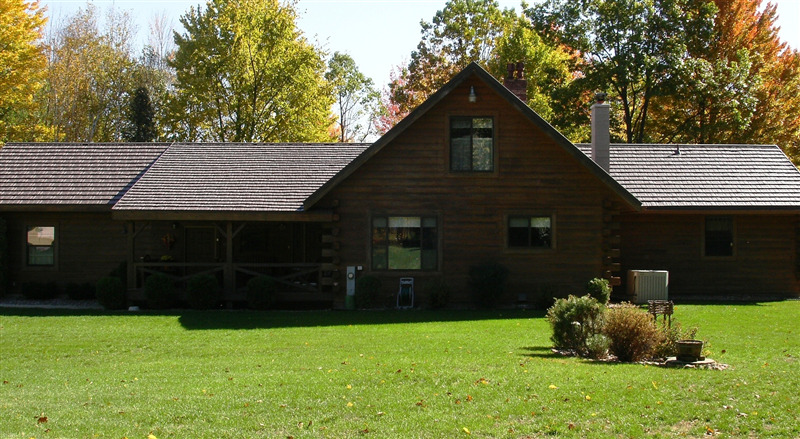 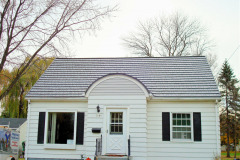 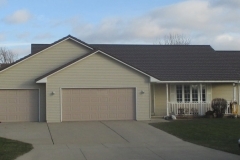 With Rustic Shingles in northern WI and the UP, you will not need routine maintenance or replacement. 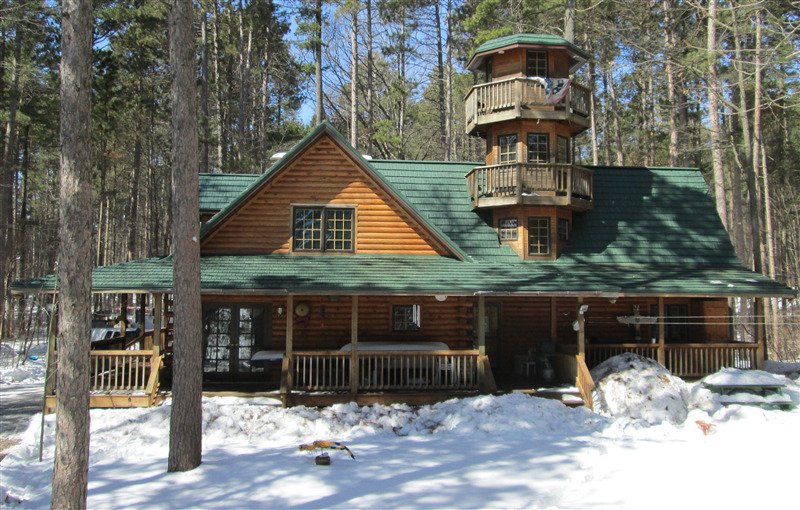 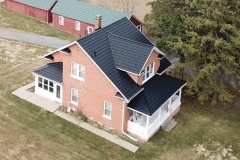 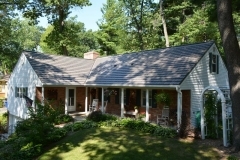 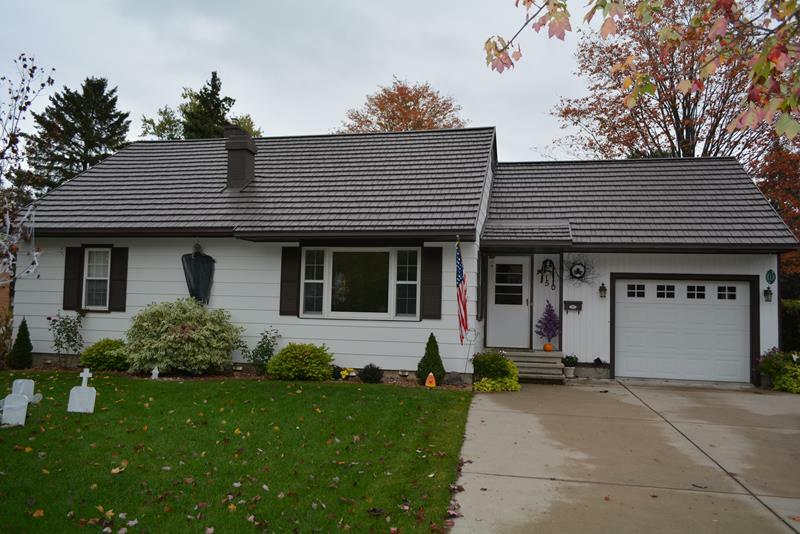 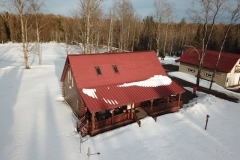 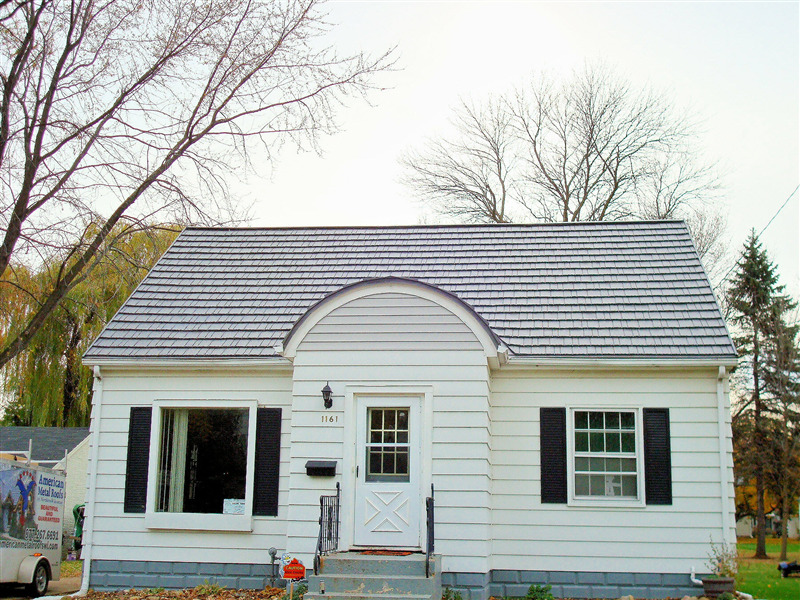 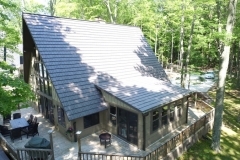 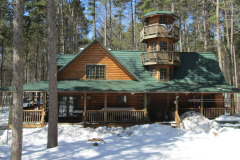 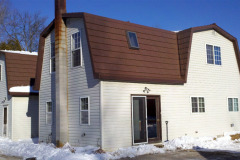 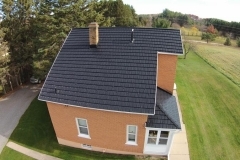 Rustic Shingles in northern WI and the UP are available as a Snow Country Roof. 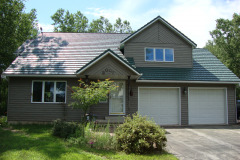 Energy Efficient: Can lower summer cooling bills by up to 20%. 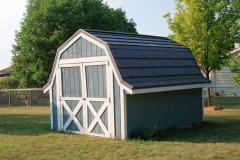 Environmentally Friendly: Made from 98% post-consumer recycled metals. 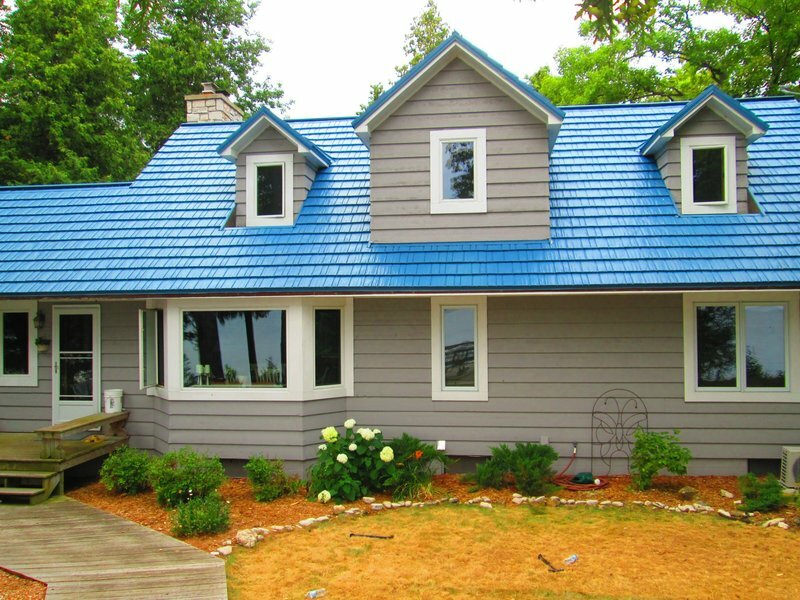 Beauty: Available in a variety of colors for a beautiful home. 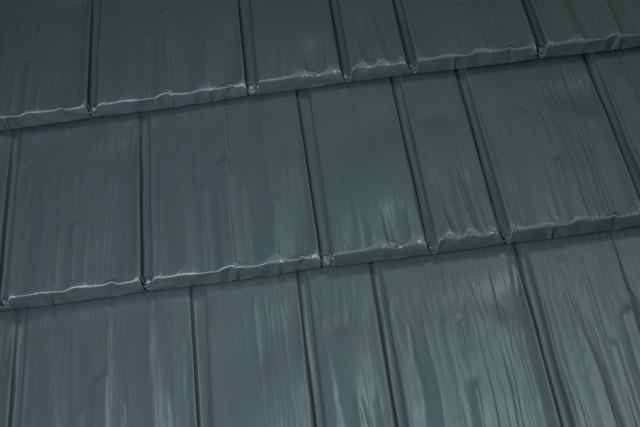 Durability: Products will last a lifetime and will not flake or deteriorate. 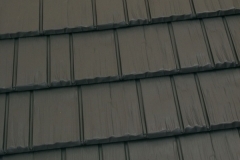 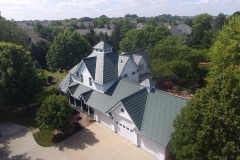 Four-Way Interlock System : Interlocking connection system on all four sides of shingle. 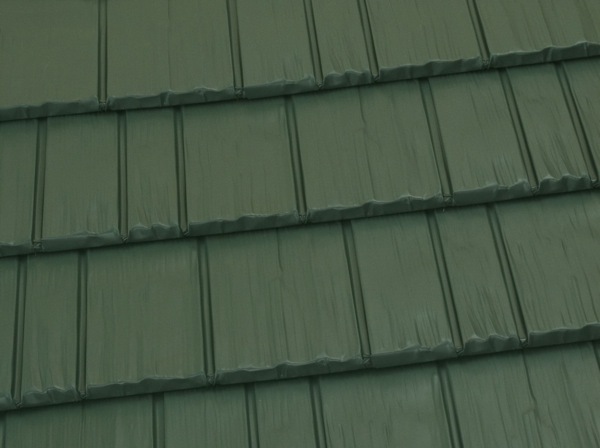 Testing : Passed UL 580, which simulates over 200 mph. 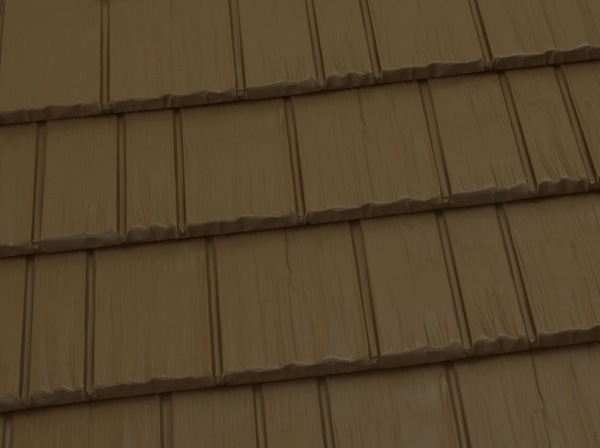 Passed UL 2218 Class IV: The highest rating for impact resistance. 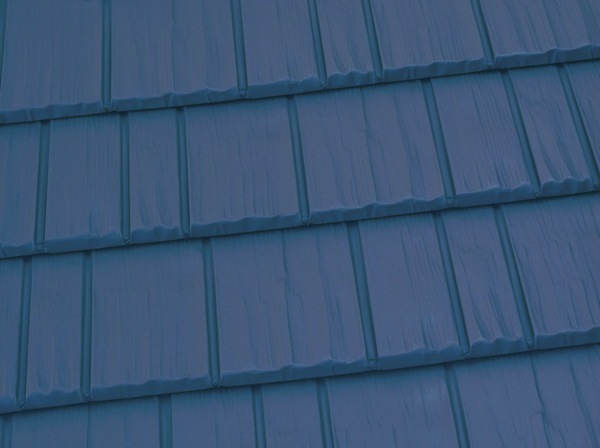 Sheds Ice and Snow: Reflected heat from the sun melts ice and snow. 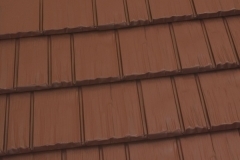 Safety: Will not burn and protects against flying embers from wild fires or chimneys. 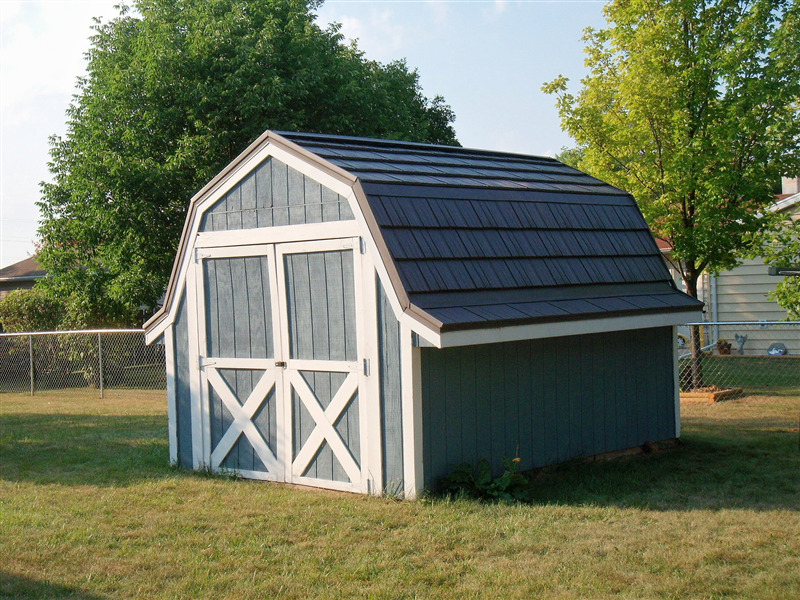 Maintenance-Free: Will not rust, crack, or rot, and never needs cleaning. 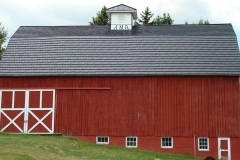 Easy Installation: Rustic Shingles can usually be installed over existing roofs, eliminating costly tear-offs and repairs. 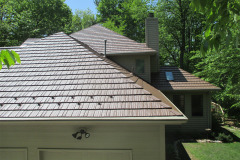 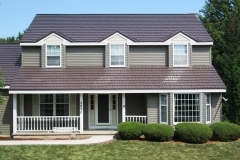 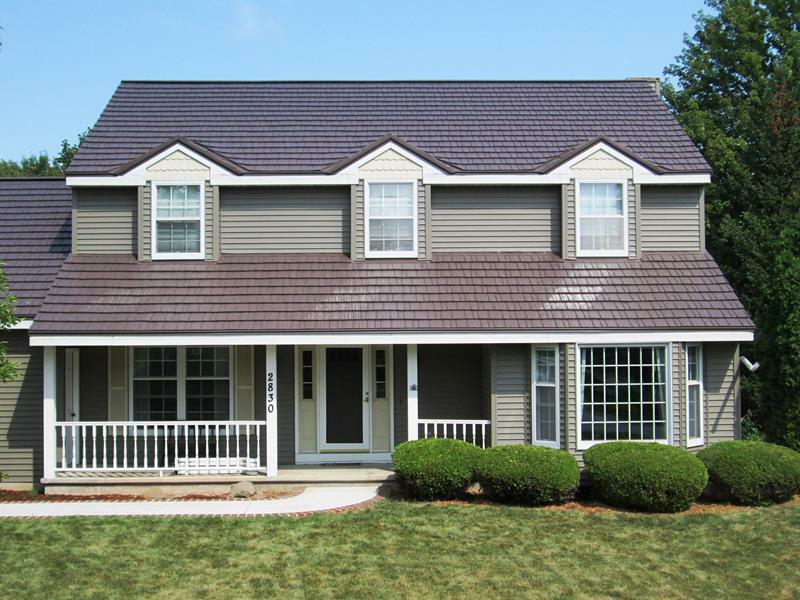 Resists Streaking and Staining: Ensures a clean, vibrantly colorful roof. Impervious To Water Absorption: Will not absorb water and become waterlogged. 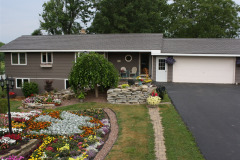 Impervious To Nature: Will not rot or support insect infestation.